Social media is becoming more popular with researchers and graduate students as a means for dissemination and stakeholder engagement. One of the KT Core’s services is to provide support for social media strategies to researchers, trainees and partners. 1) Build your network. Sign in to your twitter account online and go to the search box at the top. Search keywords related to your discipline, the names of organizations of interest to you (maybe ones you partner with for your research, or whose work you are interested in) including @NeuroDevNet and @NeuroDevNetKT. Look through the list, and click “follow” for the ones you want to follow. This means every time you sign in online (or on your mobile device if your twitter is connected to your phone for example) you will view your ‘twitter feed’ which contains postings or tweets from the individuals/organizations that you follow. Often, when you follow an organization they will follow you back. You should try to have an equal number of followers as people you are following – but at first, you will be following many more than will be following you, that’s ok, it will even out over time. You should go through the ones you follow every once in a while and ‘prune’ the ones that don’t add value to your network (e.g. if they don’t tweet stuff that is interesting to you). 2) Know how to send public and private messages. 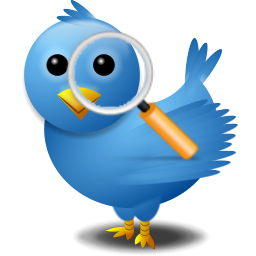 Assume your tweets will be seen by everyone, and can be searched by people who are not in your network (not following you). 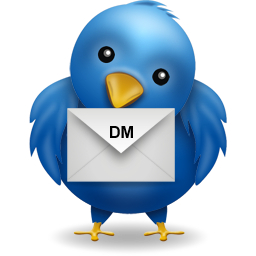 Only in cases where you are following and being followed by the same person/organization, you can send a “DM” or “Direct Message” by clicking on the envelope icon (when you are signed into your twitter account) and typing their twitter handle (@someone) into the “to” box. It’s like sending an email – only the person you send it to will see it, and instead of typing in an email address you type in their twitter handle instead. If you want to tweet publicly but want to ‘tag’ someone (to make sure they see it), you can type their twitter handle into the tweet, like “@someone new video about my research http://bit.ly.link.to.me #myresearch”. 3) Know how to be short and tweet. By the time you add in your links, hashtags, and twitter handles (see #2) it can quickly take up the 140 characters you have to write your message. So, you should usually aim to keep your message to about 120 characters. If someone wants to retweet your message (which you want, for greater exposure for your research and for you to attract more followers) it needs to be even shorter, around 110 characters. You can use tricks like turning regular words in the body of your tweet into hashtags instead of putting a hashtag at the end, but only if it makes sense (e.g. “Please join us for #KMbChat on Tuesday to talk about #socialmedia success stories”). Use shorter words – notice in the example I used “talk” instead of “discuss”. Finally, shorten the links you share with bitly.com or something similar. If you are a NeuroDevNet researcher, trainee or partner and would like more resources (guides like the link provided) or consultation on how to improve your social media strategies for KT, contact the KT Core. Elle Seymour reflects on her first 6 months as NeuroDevNet’s first KT Coordinator. Learning and supporting knowledge translation to improve the lives of children with neurodevelopmental disorders. When I tell people that I am a Knowledge Translation Coordinator I am usually met with blank stares or a spark of interest and a follow up question of, “what exactly is that?” It is easy to take a guess at the coordinator title but knowledge translation is still an emerging field that has many people confused. A very generalized definition of Knowledge Translation is supporting the flow of knowledge from academic research to end users (practitioners, industry, policy makers) including the general public where it can be practically rather than theoretically applied. David Phipps (KT Lead, NeuroDevNet) likes to say that KT “helps make research useful to society”. When I first discovered the job posting I was excited about the prospect of working in an emerging field that was beginning to be understood to be highly relevant by governments and universities alike. At first glance I was worried as I knew very little about knowledge translation, but in reality I just hadn’t properly thought about it before. I attended graduate school at the London School of Economics and Political Science and in addition to their impressive ‘LSE Impact blog’ series, they teach the importance of Knowledge Translation by posing it as a constant problem. LSE is largely focused on international development and education is one of the key resources to improve developing nations. Knowledge translation is necessary in every field and is usually subtly present even if it is not overtly institutionalized. I decided to apply to the coordinator position as I thought it would make a great starter position that would give me an introduction to the field. I knew that I would have a lot to learn as my background was in Human Rights, but I was happy to gain these new and valuable skills. The job posting listed 3 main responsibilities: events, products, and social media. I was experienced with events as I have previously organized major conferences and the product support was a transferable skill as it included editing and formatting. The social media however, required some learning to say the least! Before this position I considered myself social media savvy. I wouldn’t have called myself an expert by any means but I was not entirely green either. I have certainly been humbled in this regard as I have seen some social media experts at work (David Phipps-KT Lead, NeuroDevNet is one example) who put my meager knowledge into perspective and along with the KT Core manager, encouraged me to pursue some self-directed learning. So what’s next? While building my skill set I have been actively supporting the KT Core in making videos (check out our YouTube channel (Click Here), and supporting interviews with NeuroDevNet researchers to identify success stories such as the FASD play ‘Jacob’s Story’ which premiered in Kingston, Ontario earlier this year. I have also supported clear language writing and KT events such as the CP in Motion Day and the Canadian knowledge Mobilization Forum. In the next few months I plan on implementing these skills to help support a strong and connected network. The NeuroDevNet annual conference in July will be a great opportunity to speak to the researchers that I previously have only been in contact with via email. I also plan on using social media consistently and trying out all of the different methods I have researched. It is an exciting time in regards to the KT products we are working on and in the coming months we are hoping to re-launch our Research Snapshot clear language research summaries. NeuroDevNet is an exciting initiative that has the potential to positively impact the community and I am happy to contribute to this project, even if that means I have to explain what my job is to everyone I meet!